Your Favourite Elizabeth Bennet Is??? There have been many incantations of Elizabeth Bennet in a multitude of formats. Books, big screen films, plays, as well as several TV adaptations. 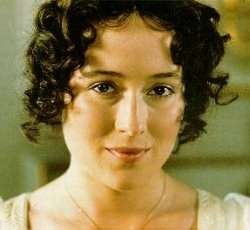 I personally prefer Jennifer Ehle’s portraytion of our Pride & Prejudice heroine, but I know not everyone agrees with me. I have to admit, I also like the passion that Keira Knightley puts into the speech when first proposed to by Darcy,(Matthew Macfadyen), but I think shes a little to thin, and her clothes a little to dowdy. I would have hated living in the 19th century if I had to wear brown and green dresses like Keira, especially if all my siblings were cavorting about in pretty floral patterns. Anyway I digress, what I wanted to know is, who is your favourite Elizabeth Bennet, and why. Here are some of the contenders. 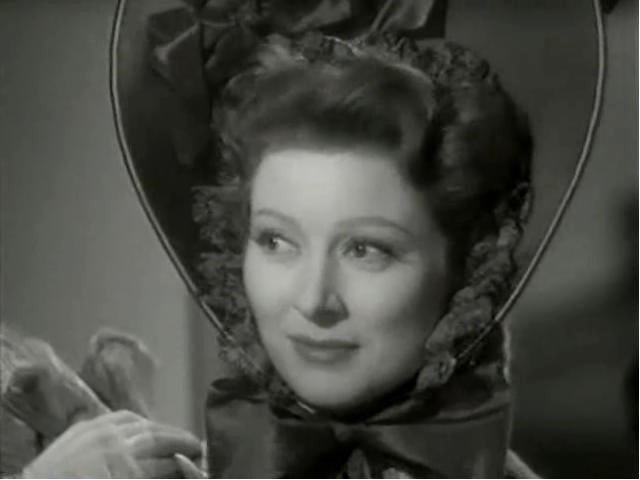 When I watch the 1940 film version, I am struck by the number of inaccuracies, and although Miss Garson was a superb actress, it put me off this version. Now in the 1980 TV series, I find the acting a little wooden, and it seems dated by todays standards. But having said that, it was a true rendition of Jane Austen’s book, something that had never been done before or since. So, make your choice and leave a comment. ← Guess Where I’ve Been? 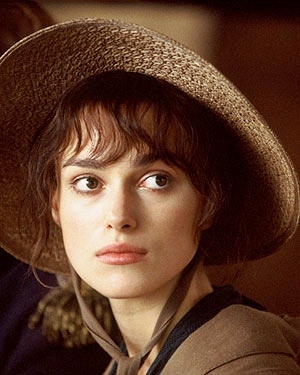 Although not a fan, definitely Keira for me.Found Jennifer too wooden and superficial,not the passion i interpreted her character to have in the book.Keira caught that as well as having a much better chemistry with her Darcy. And i loved Joe Wright’s deliberate take on the film to make things more earthy.Hence the dress.The Bennets after all were not from the higher echelons of society to have lighter,more expensive and abundant numbers of dresses.All in interpretation of the book. I liked the passion Keira brought to the character too, but as for the clothes I have to disagree. Throughout the whole film she wears brown, grey, navy and sage green. I think the only time she is in a bright floral dress is at the ball. Her sisters are constantly in sky blue, pink, lemon, lilac etc. It makes the contrast even more stark. I think some of the problem with Jennifer’s portrayal of Elizabeth was how stiff Colin was as Darcy, although this was how I feel Jane wrote him. I think the contrast by Joe Wright in the dress is deliberate to show Lizzie’s seriousness in comparison to her sisters. As for Jennifer Ehle, Darcy is always a stiff character no matter what version but likewise Lizzie is passionate and Ehle just never portrayed that for me.